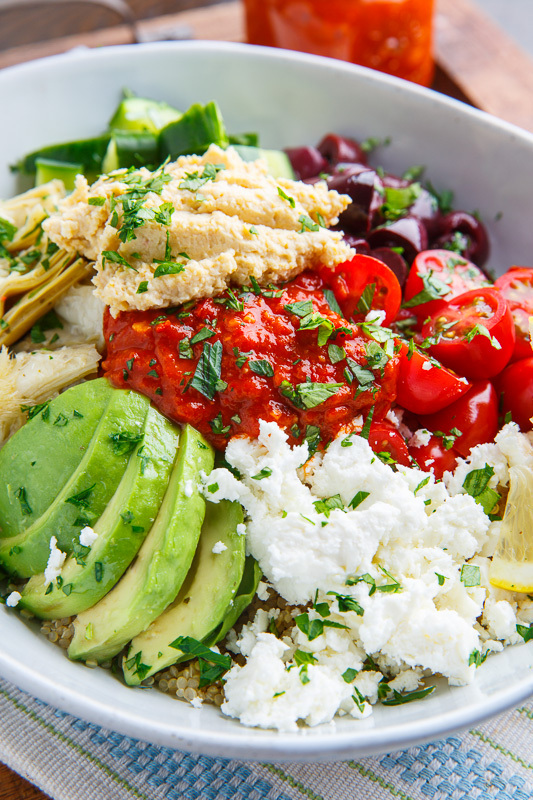 A quick, easy, light and healthy quinoa salad with Mediterranean inspired flavours including feta, olives, artichoke hearts, tomato, cucumber and avocado in a tasty red pepper romesco sauce! Today I have some light and healthy Mediterranean quinoa bowls with romesco sauce! The romesco is a simple and tasty roasted red pepper sauce with almonds, garlic, lemon and smoky paprika and it goes perfectly in this Mediterranean quinoa salad. 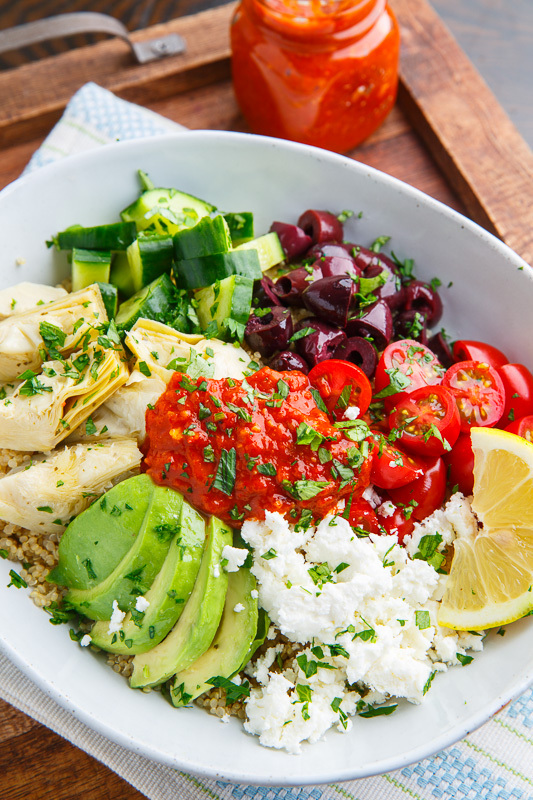 The rest of these bowls are Mediterranean ingredients including, tomato, cucumber, kalamata olives, feta cheese, artichoke hearts and avocado. 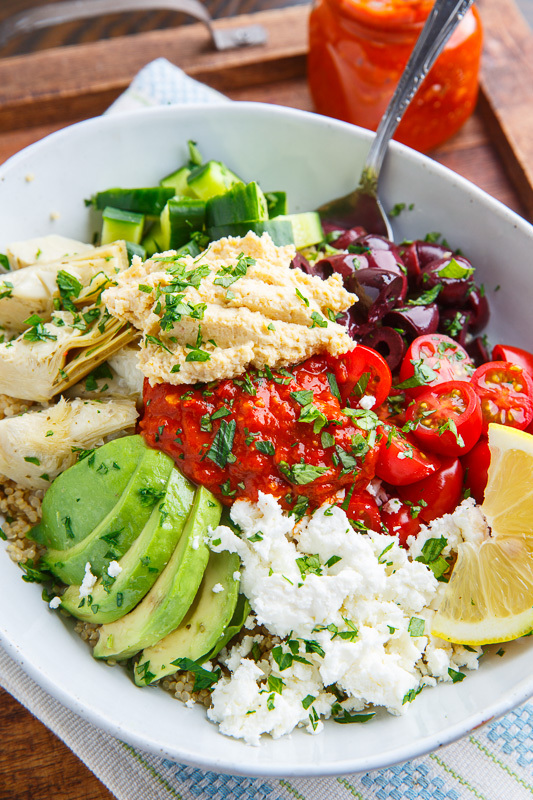 This quinoa bowl is inspired by burrito bowls but with Mediterranean flavours instead of Mexican and just like a burrito bowl you can change the ingredients up and use your favourites! 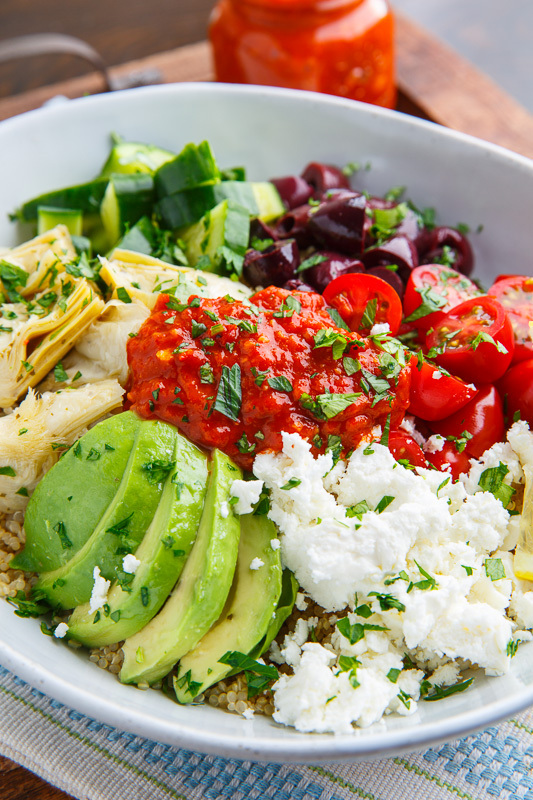 No matter how you fix these Mediterranean quinoa bowls with romesco sauce they are a tasty and healthy way to start off the new year! Add a nice big dollop of hummus! Option: For a more pantry friendly version, use jared roasted red peppers and 2 sundried tomatoes packed in oil instead of fresh and skip the broiling! Love the idea of adding some hummus on top!